The Earth has a roughly 12 percent chance of experiencing an enormous megaflare erupting from the sun in the next decade, according to space physicist Pete Riley, senior scientist at Predictive Science in San Diego, California, writing n Space Weather on Feb. 23. This event could potentially cause trillions of dollars’ worth of damage and take up to a decade to recover from, according to a 2008 report from the National Research Council. 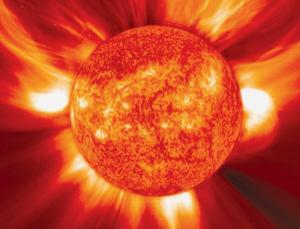 The last gigantic solar storm, known as the Carrington Event, occurred more than 150 years ago and was the most powerful such event in recorded history.